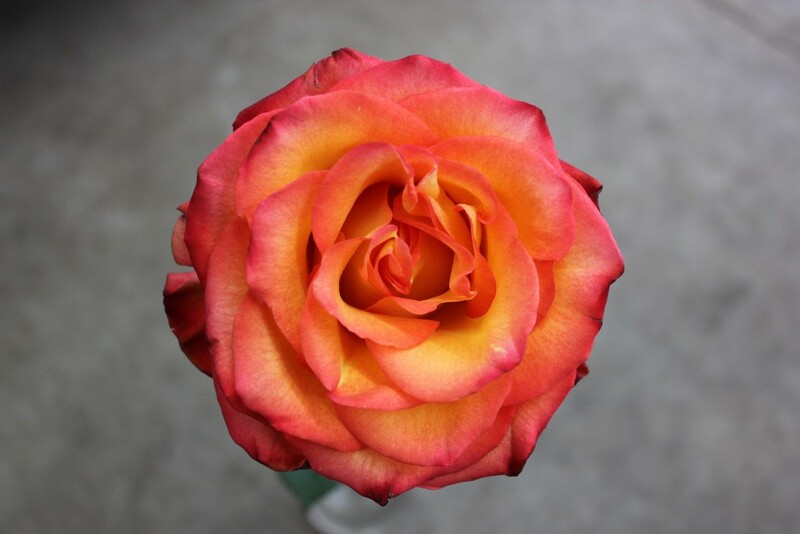 High and Magic is a bi-colored red, yellow, orange rose. 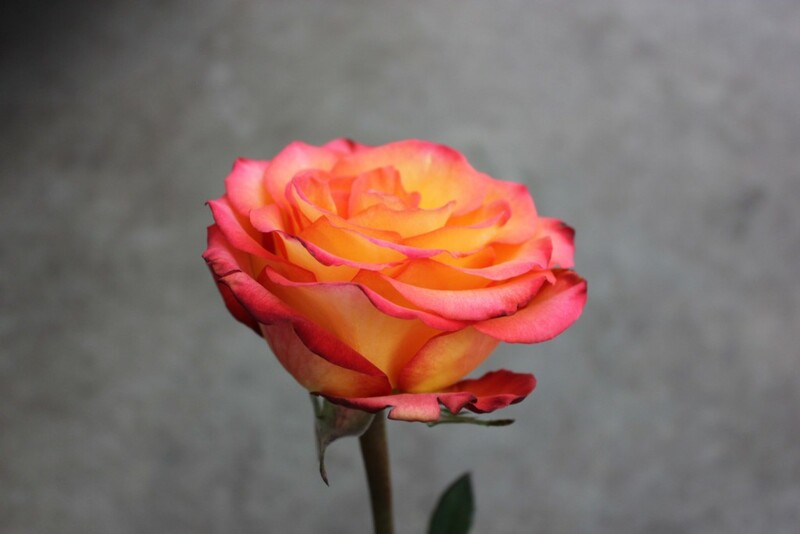 It contains no thorns and has a fragrance. 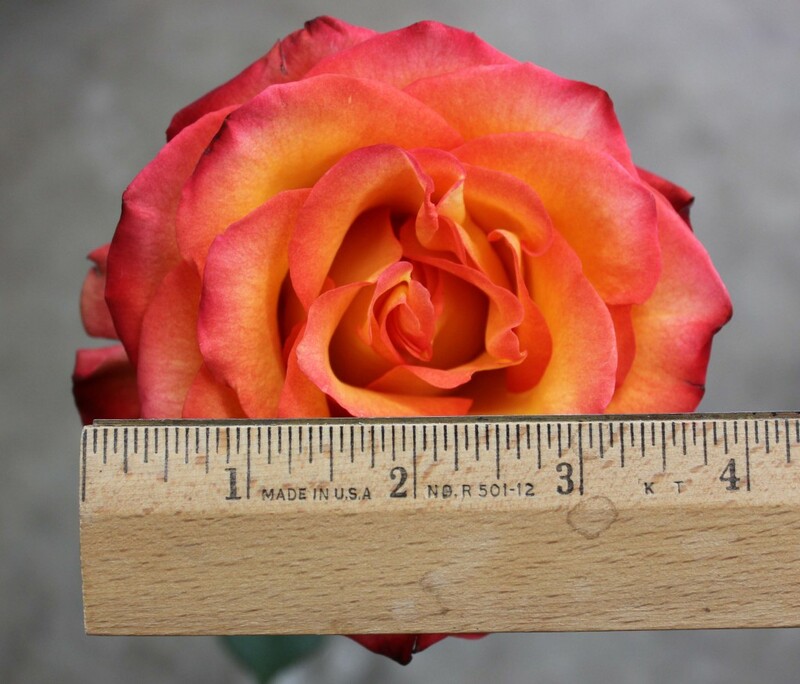 This rose measures to about 4 inches in diameter. It has a long vase life and opens rather quickly after it is cut.